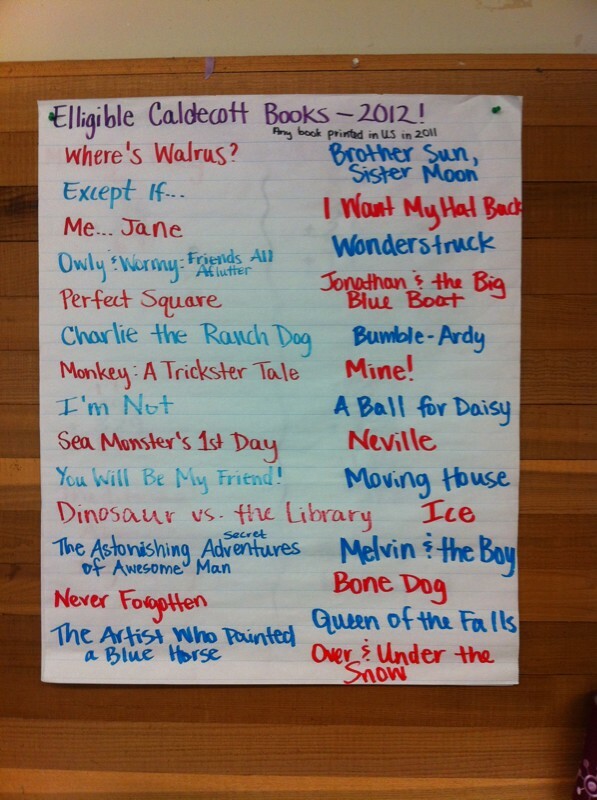 Mock Caldecott: First Round of Voting TOMORROW! We’ll have our first round of Mock Caldecott voting tomorrow! It’s going to be so fantastic! We’ve read so many books so far this year! Here’s an alphabetical list of the books we’ll be voting on. In this first round, students can rank their top five books. The field will be narrowed to ten books, and then we’ll have final voting next week! Author shannonPosted on January 12, 2012 Categories Caldecotts/Mock Caldecotts, LiteracyTags book awards, learning, literacy, mock caldecott, reading, votingLeave a comment on Mock Caldecott: First Round of Voting TOMORROW!